This was a regular snack in my house while my two boys were practicing their veggies. It’s just amazing how many nutrients you can blend into a smoothie, especially if you have a powerful blender like the Blendtec. The Vitamix is another blender that is frequently recommended for green smoothies and soups. Unlike most smoothie shops I do not add ANY extra sweeteners to this smoothie because it does NOT need it. Tonight I tried this on a new Tiny Taster who loves smoothie shops. He told me it was the BEST he ever had! I do not always tell my Tiny Tasters at first that there are veggies hiding in the smoothie. I can honestly say that you CAN NOT taste them. After trying so many different greens in smoothies, we have found that kale and baby spinach are the green leafy vegetables that blend the best without bitterness or aftertaste. A couple of carrot sticks adds more fiber and some vitamin A. This recipe calls for blueberries, but any berries or combination of berries will work. In the summer we tend to use more strawberries and sometimes even throw a few fresh peaches in there, too. Using this basic recipe you can experiment with different fruit to make a special smoothie of your own. 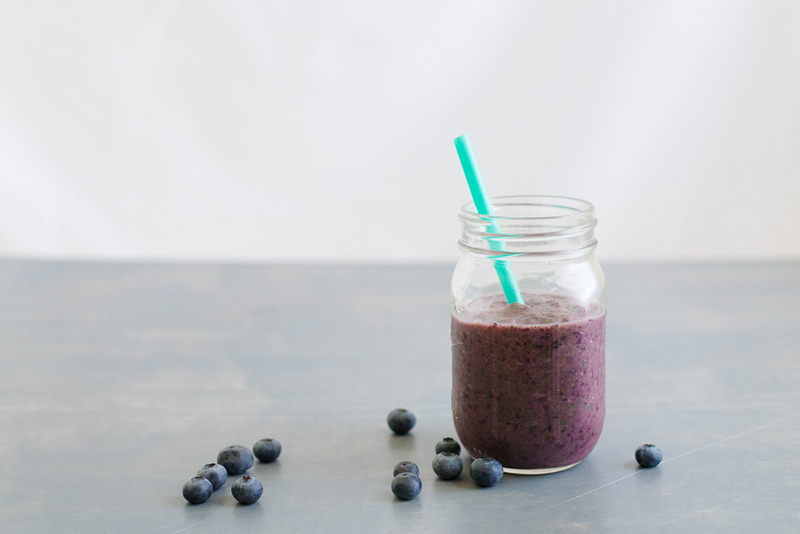 If you don't feel hungry at breakfast time, consider a smoothie as an alternative. And don't worry if you have leftovers. Pour into a popsicle for a frozen treat later! To give it some extra calories, throw in slice or two of avocado. Place grapes and yogurt (optional) at the bottom of your blender and add other ingredients on top. Blend well until fruit and veggies are smooth. Yields 3 1/2 cups of smoothie (enough for 3 mini smoothies or 2 larger smoothies). As babies get used to the bitterness of greens, this may be a way to introduce them. Try giving baby a taste to see how she likes it. Consider letting the smoothie warm up a bit before offering. At first the icy temperature may feel too intense.